The Spanish market was the final destination for these three CORREA fixed-bed, rotary-table milling machines, once the technicians at Nicolás Correa Service S.A. had completed the retrofit process. These three CORREA CF17, CORREA CF20/20 and CORREA CF22/25-Plus models were completely retrofitted, including dismounting and inspecting all functional parts, and making the appropriate adjustments, repairs or replacements. Likewise, all the electronics were checked and subjected to an important stress test, whilst the motors, drivers, numerical controls and electrical switchboard were all dismounted, cleaned and repaired. Following the retrofit work, NC Service sold these milling machines, with a warranty and guaranteeing conformance to the standards of geometry and precision established in the manufacturer´s protocols. Firstly, the CORREA CF17 milling machine, with the smallest X axis travel of 1,800 mm, was purchased by a company with international presence and which is dedicated to the manufacture of valves for the petrochemical, solar and shipbuilding sectors, amongst others. Secondly, the CORREA CF20/20 milling machine, featuring an X axis travel of 2,000 mm, went to a machining company dedicated to the repair and treatment of industrial machinery. Finally, the CORREA CF22/25-Plus milling machine, featuring the greatest horizontal axis travel (2,500 mm), is to be dedicated to performing high-quality work for a company with more than 15 years´ experience and specialising in machining, precision turning, CNC milling, welding and the repair of all types of parts. 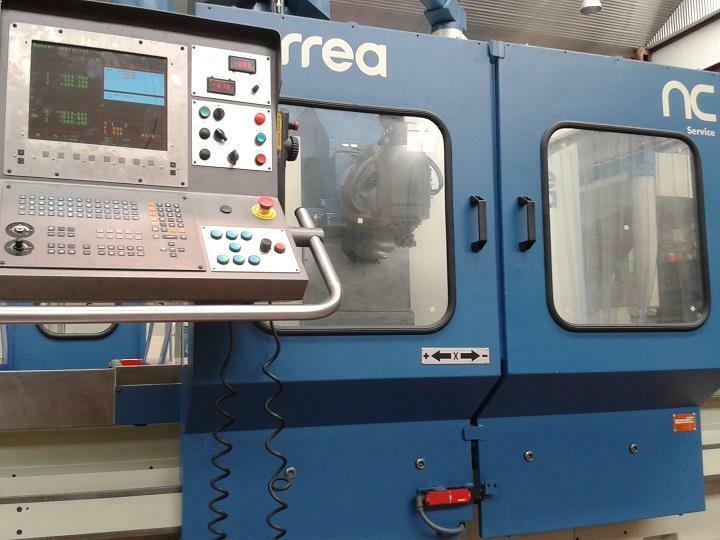 Therefore, three Spanish companies dedicated to precision machining are now the owners of these CORREA milling machines. Although small in size, these machines offer excellent quality in the work to be performed at these companies.